Joel Madden’s life as a rock ‘n’ roller may be busy, but he had made it clear that fatherhood and parenting skills are at the center of his life. He told On-Air with Ryan Seacrest that leaving his 14-month-old daughter Harlow at home is a recipe for heartbreak – an emotion so many fathers can easily relate to. 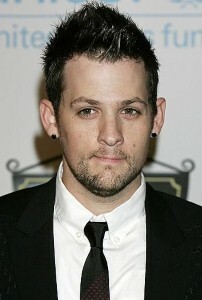 "That’s hard man, when you leave your kid and they’re saying no," the Good Charlotte member said. But he added that he tries to cope with the feelings by writing songs for his little girl and dedicating them to her on stage. A few months after Harlow was born, he told a crowd of 1,700 students at Queen’s College in New York that he used to sing songs to the baby "every day," adding that her favorite band was The Cure. The rocker and partner Nicole Richie recently announced they are expecting their second child, prompting Madden to say the couple’s approach to starting a family is to "let love plan our babies." Madden’s devotion to fatherhood has not gone unnoticed by the woman he loves. This month, Richie told Glamour UK that Madden is "the best dad I have ever seen."